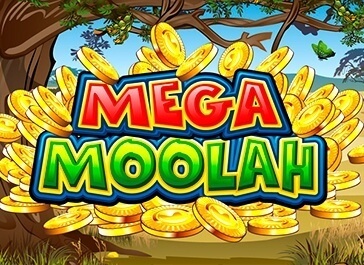 With Mega Moolah slot, Microgaming is taking the players on a wild journey. If you always dreamed of going on a Safari ride, now is your chance to live that experience. The sound effects available on this game are as realistic as they can be and, at one point, you might even find yourself daydreaming about the wildlife. Besides sounds and entertaining visuals, this machine has a gameplay that’s worth your time! There are five reels and the players can choose a maximum number of 25 lines. By creating flexible paylines, the developers wanted to make the game suitable for experienced players as well as people who don’t have much history with slot machines. By playing fewer lines, the gameplay becomes more accessible and easy to follow. At the same time, you shouldn’t miss the chance to play a challenging game because more lines will bring you more chances of finding a winning combination. The maximum number of coins per line you can bet is 125. It gives you plenty of opportunities to develop different gambling strategies. The value of the coins can be adjusted in the bottom left corner. Keep in mind that this is a deposit free machine and you don’t need to worry if you lose all your credits. 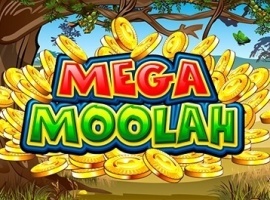 If you wish to replay Mega Moolah jackpot, you simply need to refresh the web page. The only thing that’s missing from this entertaining game is the autoplay button that would have saved you a lot of trouble. We’re not saying that it’s a tough job to click the spin button every round but it would’ve been nice to enjoy the game without moving a muscle. As mentioned above, the sound effects of this machine are so realistic that you will have the feeling you’re playing the game right in the middle of the jungle. Actually, come to think of it, the sounds are much more realistic than the visuals. The symbols are represented by drawings of animals and, obviously, the lion remains the king of the game by offering you 15,000 coins when you find all five of them. All of these goofy animals will certainly bring a smile to your face and, hopefully, lots of demo coins to your virtual account. Even if the graphics aren’t as modern as you would have hoped, this machine is worth your attention because it’s perfect for practicing your strategy and developing your gambling skills. Moreover, by listening to the sound effects, you’ll feel like you’re having a yoga session in the jungle! 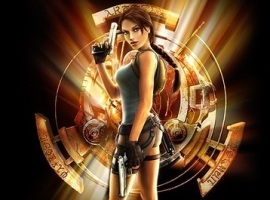 Try out Tomb Raider slot machine and get in on an adventure. Win big prizes with no download or registration required. 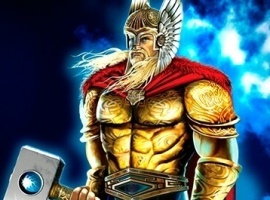 Thunderstruck ii slot developed by Microgaming brings together the great Norse Gods in the most creative and entertaining way. Don’t miss this game and start playing now for free! 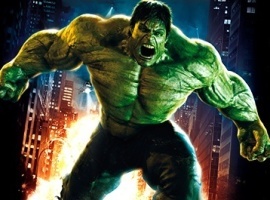 Hulk slots are popular among players. Play here for free and get ready to win big prizes. No download and no registration! 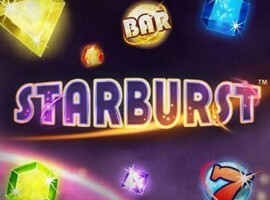 Play now Starburst online slot, one of the most popular casino games of its kind. Enjoy the features of this NetEnt slot machine with no download, deposit or sign-up! 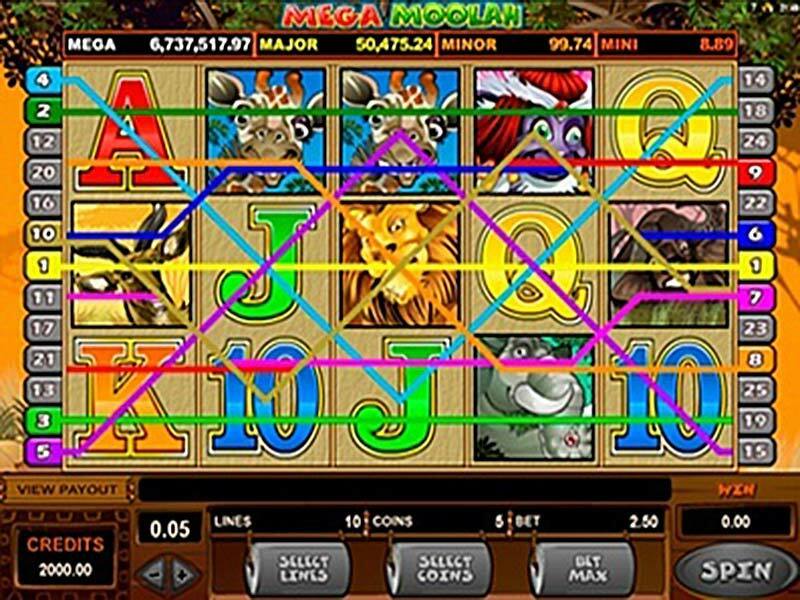 Step into the wildlife by playing Mega Moolah slot, a videogame created by the brilliant designers at Microgaming. Enjoy five reels and 25 lines filled with creative symbols! 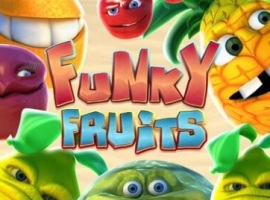 Funky Fruits is a good-looking slot machine developed by Playtech that can be played here for free, with no deposit, download or sign-up required! 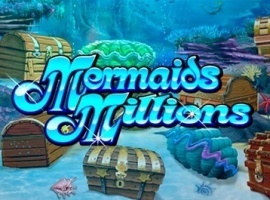 Try your luck with the Mermaids Millions slot game now and get big prizes with no need to download it, to make a deposit or to create an account! 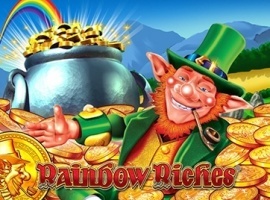 Enjoy Barcrest’s Rainbow Riches free slots now and win big prizes with the help of some characters from the Irish folklore. No deposit, sign-up or download needed!